Sooooo. Remember early last week when I pretended my name was Alex and had a terrible, horrible, no good, very bad day(ssss)? And the only thing saving me was putting peaches in my grilled cheese? I ate a bunch of these grilled cheeses and felt ten million times better. Food is my drug. In the best way ever. And when my husband is away and I have to be a real adult about things instead of getting in my pajamas at 4PM – (or let’s be serious here, not getting OUT of my pajamas until 4PM) – and watching chick flicks ’til I pass out on the couch, wake up absolutely starrrrrving at 11:13PM, and proceed to take down one third of a bag of peanut butter pretzels… I rely heavily on my drug. It’s the time when I get to eat whatever I want, whether it’s a meat-free kale salad (yeah right) or a bacon-heavy carbonara (more than likely). And all of the above is my very strong argument for grabbing two pretzel loaves at the grocery store the weekend before, when I knew it would be just me and me alone. I sensed they would come in handy when I was relishing in my alone time. Please take note of my very tan hand. No, really. That is me being tan. I’m not joking. Wish I was. That is me, in JULY, after at least 2-3 days per week of being in the sun for about 2-3 months. And let’s not confuse it with a beautiful peaches-n-cream complexion or anything. This is the I’m-so-pasty-you-can-see-my-viens-and-yucky-pink-undertones complexion. This better pay off for me in like 40 years. Or else I want a skin refund. But besides that, it would be in your best interest to make another grilled cheese with fruit in it, especially if it’s on pretzel bread. 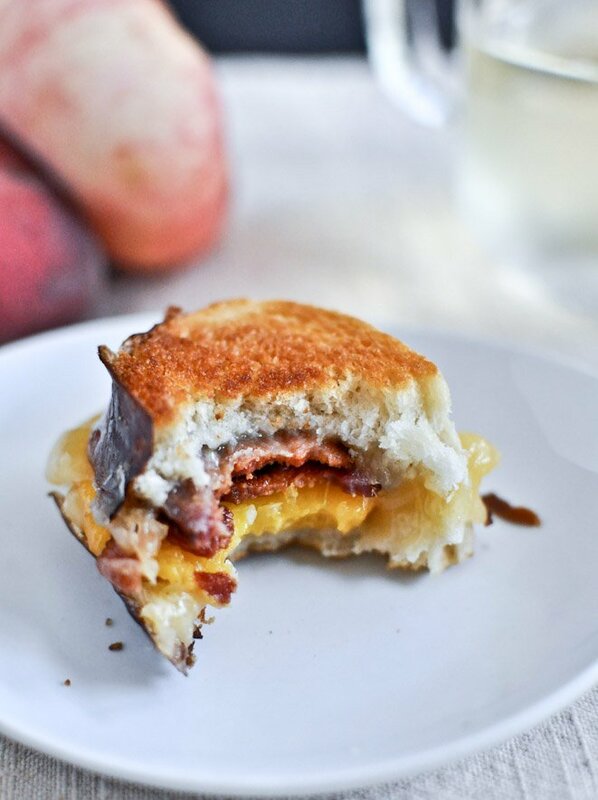 Because then, it’s uh… like you’re eating a soft pretzel with cheese and bacon and peaches. And who doesn’t want that? Assemble sliders by placing a slice of cheese on top of the bread, followed by bacon and peaches, then another slice of cheese on top to act as “glue.” Heat a skillet or griddle over medium-low heat, butter both outsides of the bread and place on skillet, cooking for 4-5 minutes on each side until golden brown and cheese is melty. Serve immediately! Note: you can obviously use regular baguettes, or even a loaf of pretzel bread or pretzel buns. I think this is breakfast. Best post share….keep sharing! Here is our website where you sell your old phones online. I like your blog entry. Continue composing this kind of extraordinary stuff. I’ll make a point to catch up on your blog later on. A decent article I like its idea. It is extremely educational and creative keep it up with such great substance. This is a subject that is near my heart… Fare thee well! Precisely where are your contact points of interest however? 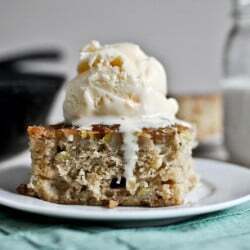 This is an excellent recipe, thanks for sharing. Appreciate it. I will keep visiting your site for such articles. This is a stunning mixing article. I am all around that truly matters content with your astonishing work. You put to a surprising degree, especially fulfilling information. Keep it up. Keep blogging. Expecting to overview your next post.